CES is hosted by the Consumer Electronics Association (CEA), which is a trade association promoting growth in the $186 billion consumer electronics industry. There are more then 2000 companies that make up CEA from across the globe. The trade show is hosted annually and displays various products and designs that will be released to the public in the near future. One of the exciting announcements was the Qualcomm processor dubbed Snapdragon, which will be in a range of devices including televisions, e-readers and mobile medical devices. Paul Jacobs, CEO of Qualcomm, gave his keynote speech, emphasizing the growing mobile industry and used a half-dozen volunteers to show off various devices that use its Snapdragon chip. Emerging markets in developing countries are an important focus to Qualcomm as people in those countries are more mobile-centric then in modern countries. Jacobs believes that in 2015, almost half of all smartphones will ship to emerging markets. Because Snapdragon chips are less expensive, price-sensitive consumers in those countries will be more apt to take advantage of them. The Snapdragon processor currently powers 300 different devices in its current iteration, with another 350 in development. 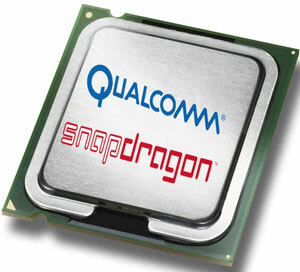 The Snapdragon S4 will drive the next generation of devices, including TVs and notebooks, according to Jacobs. Eric Topol, chief academic officer for Scripps Health, also made an appearance onstage next to Jacobs. The iMedicalapps team had the privilege of interviewing Dr. Topol at the mHealth Summit where he noted that we are witnessing the beginning of a coalescence of two fields, where medicine can leverage the digitial infrastructure. Dr. Topol took the stage at CES to show off a device that can monitor pulse using an attachment and a smartphone. Another interesting announcement from Paul Jacobs was the announcement of the Qualcomm Tricorder X Prize. The goal of this $10 million global contest is to design a product, popularized from the Star Trek series, that integrates precision diagnostic technologies, making reliable health diagnoses available directly to “health consumers” in their homes. This device will be a tool capable of capturing key health metrics and diagnosing a set of 15 diseases. Metrics for health measurement will include blood pressure, respiratory rate, and temperature. The device will also collect large volumes of data from ongoing measurement of health states. It will do this using the latest technology which includes wireless sensors, imaging technologies, and portable, non-invasive laboratory replacements. Most likely, the device will be powered by Qualcomm Snapdragon processors and technology. Qualcomm Life along with U S Preventive Medicine started the MACAW APP that uses 2net for wireless devices. The app was top 3 at mhealth show and was the top app at CES. USPM has the Prevention Plan that is helping people get healthy and monitor their health and USPM has the artical intelligence in 2net. Prevention is very much needed today to cut healthcare cost. Go to qualcomm life case studies and it is explained in more detail.